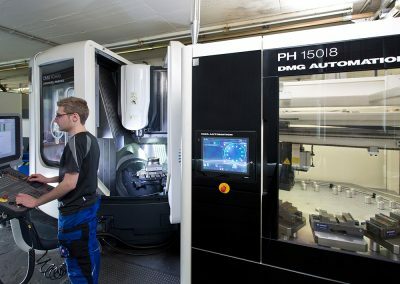 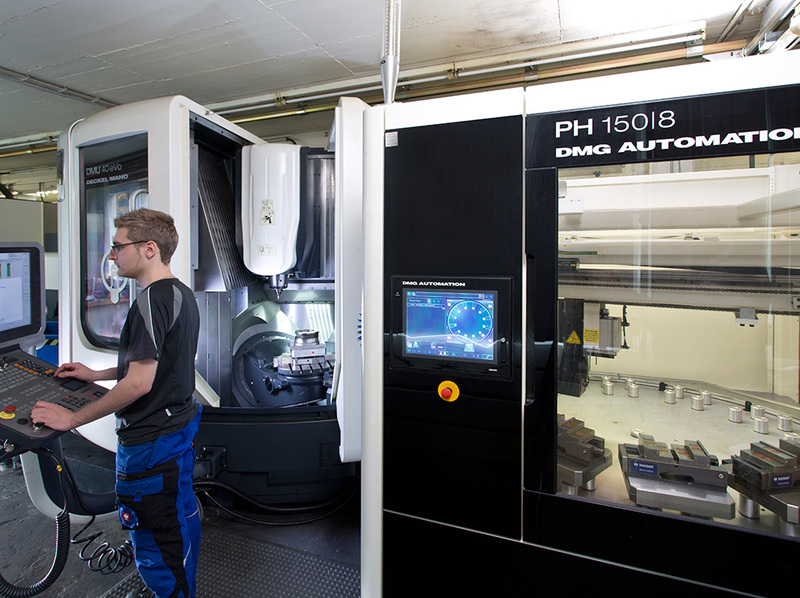 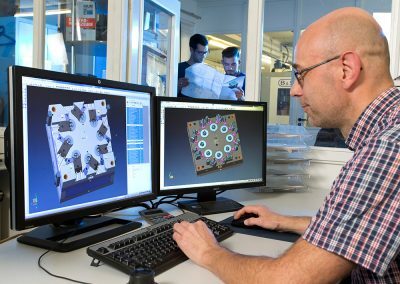 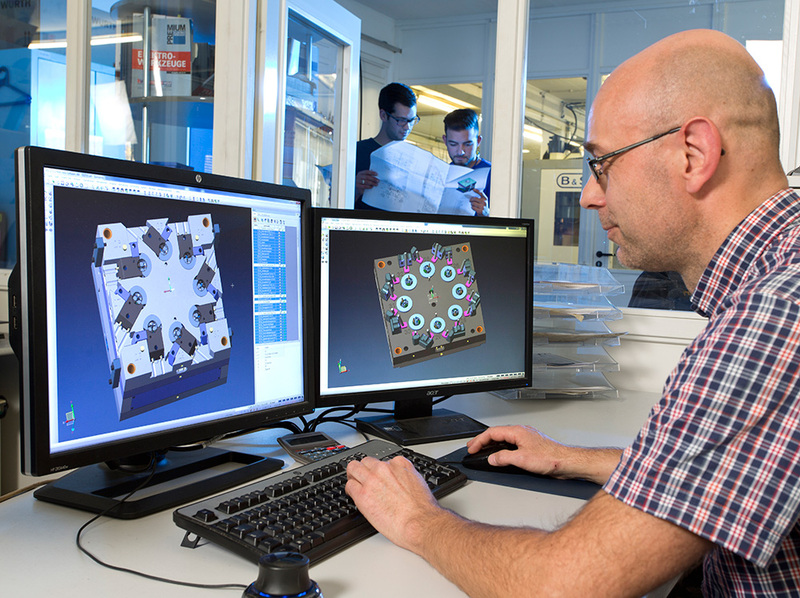 The work on the designs for mold production is carried out on the latest CAD/CAM systems at Bernhardt & Schulte. 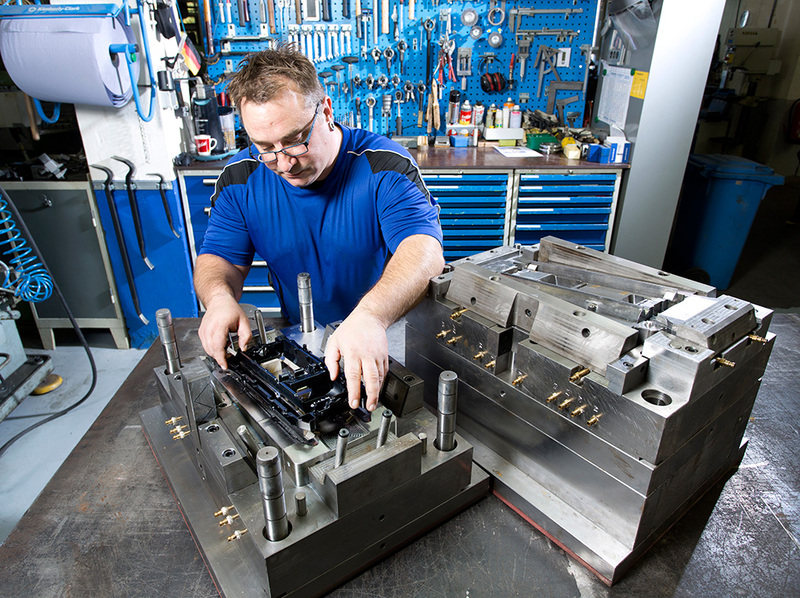 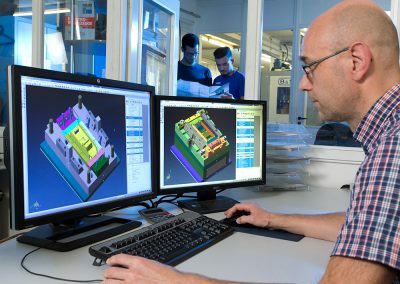 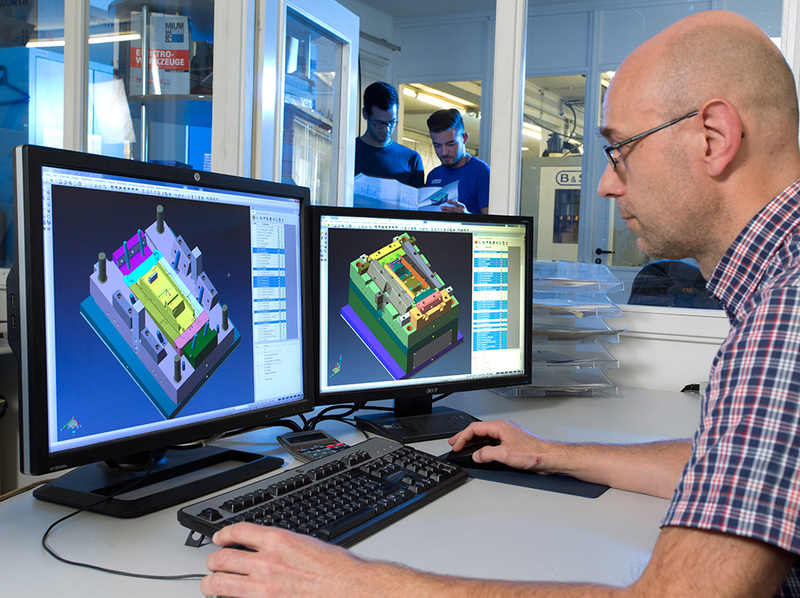 In close consultation with our customers we build complex molds for injection molded parts – both to meet our own production requirements and for customer projects that are implemented in their own production systems. 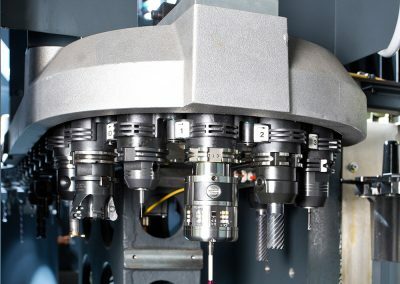 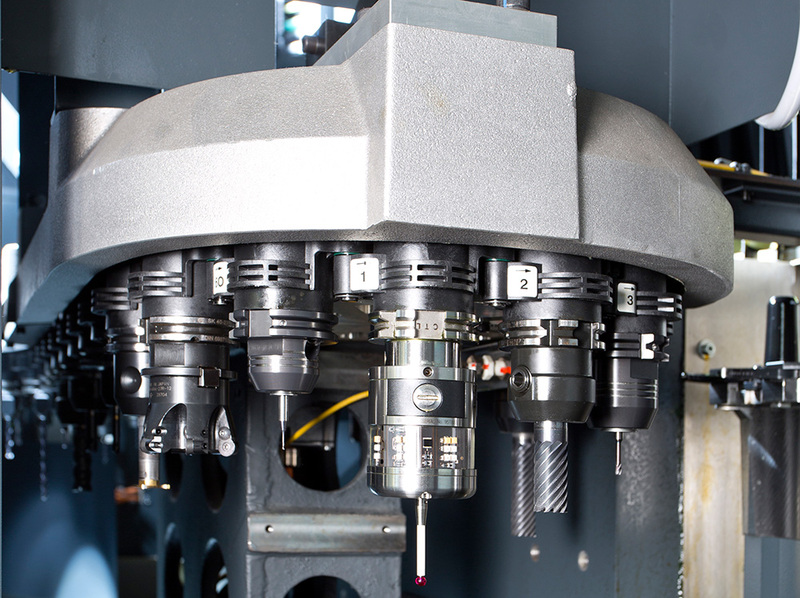 This involves the use of precision metal working machines and the development of standards that reflect the latest developments in mold construction technology. 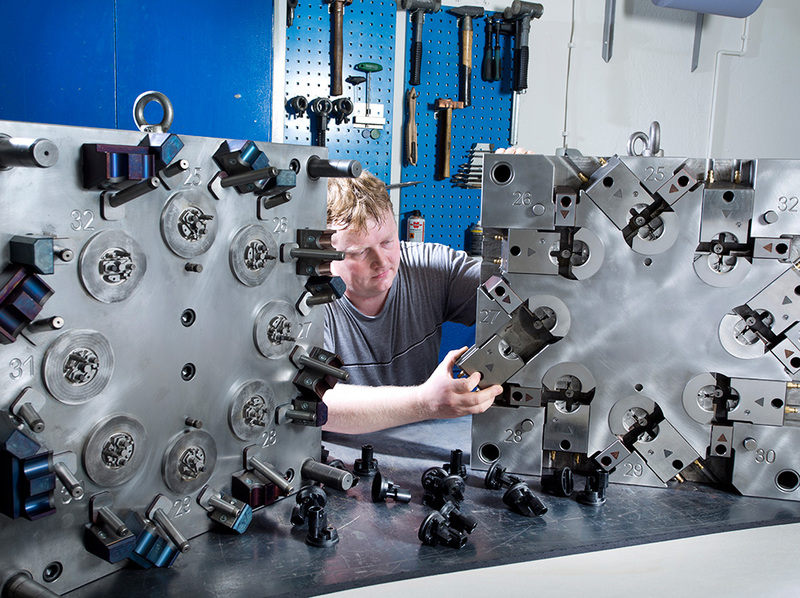 This result in complex molds for the effective processing of thermosets and thermoplastics. 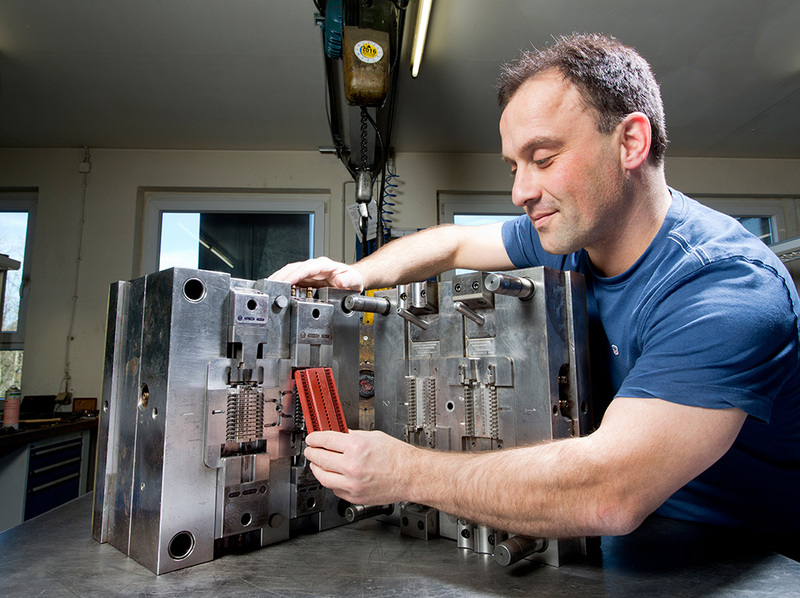 The challenges can never be big enough for us in mold production. 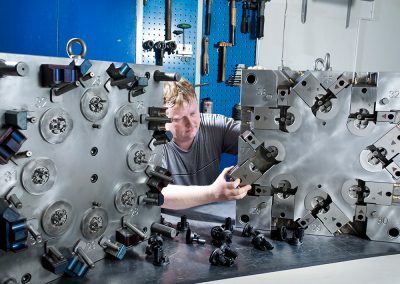 That‘s why we look forward to every complex task.